The 5Hs often come up in travelers’ mind when they first dream of their future trip to Vietnam: Hanoi, Halong, Hue, Hoi An and Ho Chi Minh City. But Vietnam is not just all about cities and beaches, it also possesses some spectacular mountain ranges. 7 days in north Vietnam Where should you go? In fact, the vast mountainous area in Northern Vietnam takes up a third of the country’s total land area. Here you can explore the authentic culture of various ethnic groups while staying away from the crowds or go on exciting adventures while gazing at superb rugged mountains. Choices are plenty, but here’s our list of the top 5 mountain destinations in case you want to plan a trip to Northern Vietnam. Obviously the most popular destination in the northwest of Vietnam, Sapa was established by the French as a place of retreat in the early 20th century. Since then, it has been an ideal choice for a getaway from Hanoi as well as a leisure base for exploring the surrounding attractions. 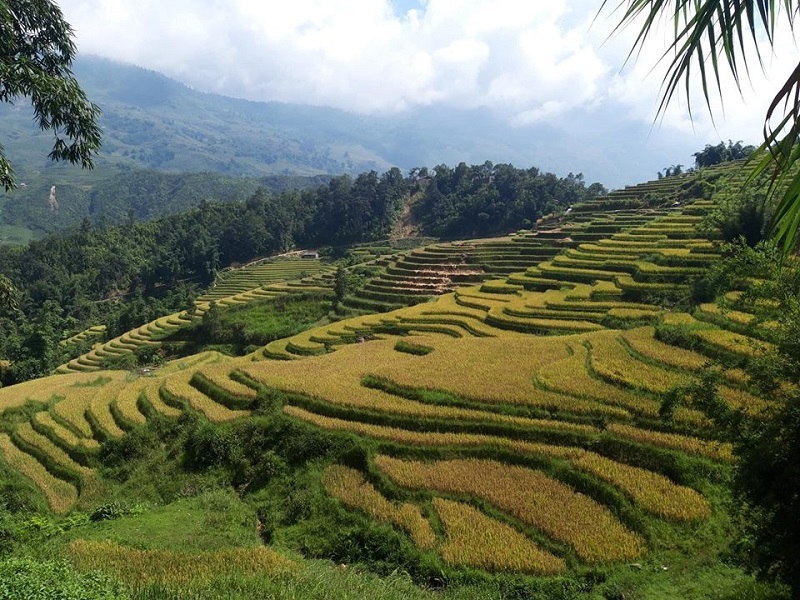 From Sapa, you can bike or trek through some of the best rice terraces in the world then stop by villages to discover the distinctive lives of H’Mong or Dao People. For a harder expedition, conquer the rooftop of Indochina, Mount Fansipan (3.143 meters above sea level) in two days. Sapa is also one of the very few places in Vietnam to experience occasional snowfalls. Although the town is packed with lots of hotels and resorts, we recommend the Topas Ecolodge. Although it takes you 45 minutes to get from the lodge to Sapa, this is widely considered as the best eco-friendly property in Vietnam. The northernmost province of Vietnam is also one of the poorest and most secluded in Vietnam. With that being said, Ha Giang offers some of the best mountainous views in Southeast Asia, especially when you weave your way through the imposing Ma Pi Leng Pass, the King of Passes in Vietnam. 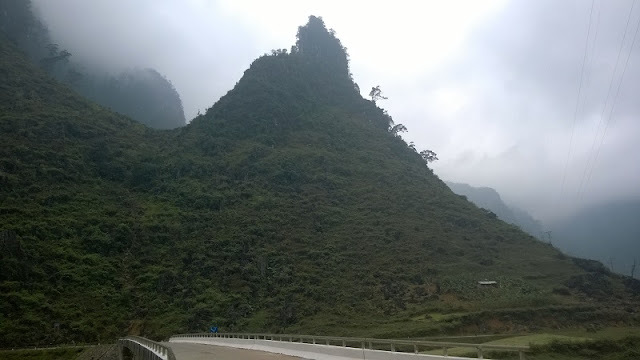 At 1.500m, the twisty road here lies right on the steep limestone mountain, with the Nho Que River looming far beneath. Truly breathtaking! After this scenic drive, don’t forget to take part in a Sunday session of Dong Van Market, one of the best ways to get connected and learn more about the daily lives of the ethnic minorities in the far north. The magnificent plateau landscapes of Ha Giang also change their color from months to months, with different kinds of flowers blooming. But we recommend the best time to visit Ha Giang is during the Lunar New Year when several unique festivals and rituals will take place. 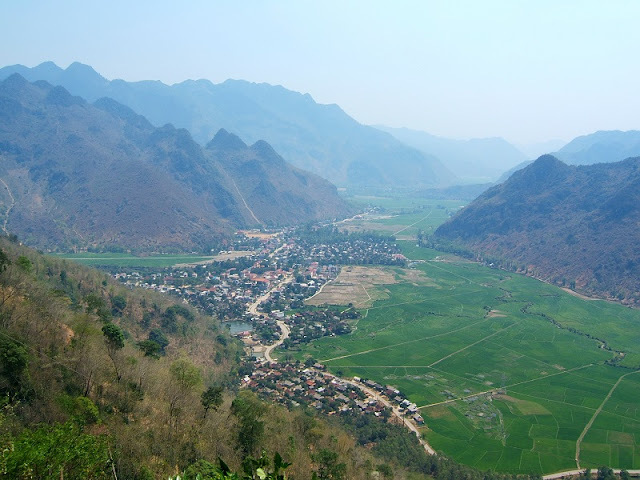 The sleepy town of Mai Chau lies within a valley. Although it is not as stunning as in Ha Giang, it provides some idyllic rural view that will ease your senses. Whites and Black Thai people are the biggest ethnic groups in this region. They build and live in wooden stilt houses. You can rent a motorbike or a bike to ride through the green rice fields, rural villages, local markets and immerse yourself in a peaceful life. When the night falls, you will have the chance to try a local dinner placed on a banana leaf. Then, take part in the traditional dance with your fellow travelers and the locals before taking some sleep in a stilt house. 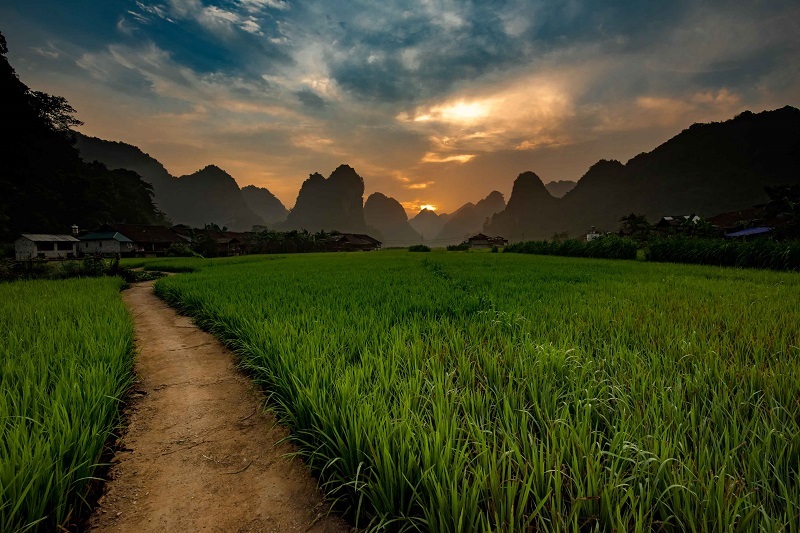 The best time to visit Mai Chau is from October to April when the weather is neither too hot nor too cold. The massive Ba Be National Park is 240 kilometers to the northeast of Hanoi and covers as much as 23,000 hectares of valleys, caves, rivers, waterfalls, three enormous lakes (Ba Be means “three basins”) and of course evergreen tropical forests. To some Vietnamese, Ba Be is regarded as the “green lungs” of Northeast Vietnam. And if you’re looking for a mountain destination which provides many different kinds of outdoor activities, you’re coming to the right place. Here you will be offered three different treks with different levels of difficulty. Your efforts will be well rewarded by the pristine natural settings and the friendliness of the Tay people who are living here. With the extensive network of waterways, Ba Be is also a great destination for kayaking enthusiasts. Similar to Mai Chau, the main overnight stay of choice here is local homestays. The final stop on our list may also be the least known to foreigner travelers. 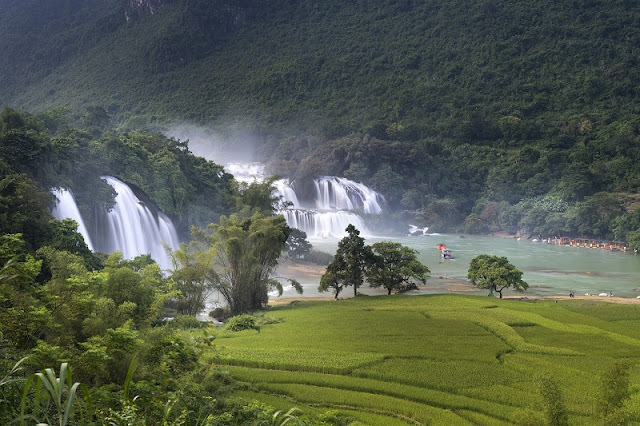 To introduce, Cao Bang has the most astonishing waterfalls in Vietnam, Ban Gioc Waterfall. This amazing site straddles between Vietnam-China borders and has a terrific 30-meter vertical drop, spanning over 200 meters. This is also the world’s fourth largest waterfall that lies along the national border. This is truly one of the most mesmerizing sites you can witness in Vietnam, a fantastic opportunity for landscape photographers. Besides the poetic beauty of Ban Gioc, Cao Bang can entice you by some half day treks which run across several villages of the ethnic groups. The difference of these treks compared to many others in Vietnam that it is very unlikely that you will not encounter a tourist, not even Vietnamese. For once, the mighty mountainous Northern Vietnam is only yours to unveil. Designed for those who love adventure, this journey will take you to Halong Bay, Babe, and the famous Ban Gioc waterfall where you will do some really good hike and trek in the most scenic destinations of Northern Vietnam.